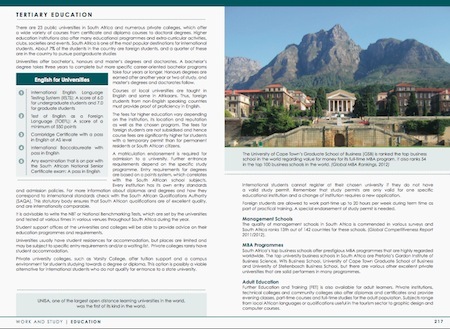 In our Education in South Africa chapter, we will give a concise guide to schools and universities in South Africa. Starting with an overview to the education system and useful tips for selecting a school, you will find also a listing of all the documents you need for registering your child at a local school and an explanation of common school subjects in South Africa. Further you will find detailed insights into expat and international education and what to consider if your child has special needs. 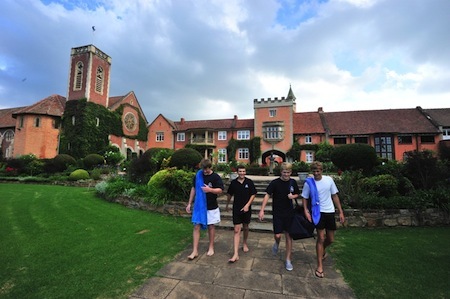 South Africa is known for the high education standards of its excellent private boarding schools such as Michaelhouse in Balgowan (pictured above), Bishops Diocesan College in Cape Town or St Mary's School in Johannesburg. However, the quality of schooling in South Africa varies considerably. Public schools (in South Africa referred to as state schools) and private schools (referred to as independent schools) offer education at varying standard. Almost 95% of the South African learners attend state schools, some of which are excellent, but the public education sector is under-funded with many under-qualified teachers delivering poor teaching standards and resulting in low pass rates. The South African education system consists of basic education, from grades 0 to 9 and further education from grades 10 to 12. Primary school usually runs from grades 0 to 7, while secondary or high schools offer education from Grade 8 onwards. Most expatriates opt to send their children to independent schools, most of which offer English medium tuition and a final high school exam by the Independent Examination Board (IEB), that is considered by many as superior. Some schools in South Africa also follow an international or Cambridge curriculum. 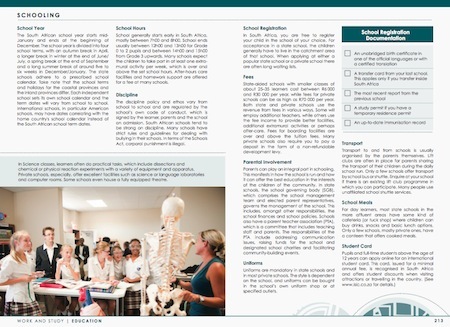 In the 'Living in South Africa' guidebook you will find various resources and a comprehensive listing of some of the best schools in South Africa in the section 'Helpful Hints'. The South African school year starts mid-January and ends at the beginning of December. The school year is divided into four school terms, with an autumn break in April, a longer break in winter at the end of June/beginning of July, a spring break at the end of September and a long summer break of around five to six weeks in December/January. Non-South African learners need a valid study permit to take up schooling or studies in South Africa. The process of getting a study permit can be quite long and applications can take three months or longer to be approved by the Department of Home Affairs. The language of instruction is usually English or Afrikaans and pupils need to be able to understand and communicate in either of these languages. The South African schools follow the South African National Curriculum, only some international schools or independent (private) schools follow an international or foreign curriculum that specifically supports the needs of expat children. School fees vary depending on the school. The school fees range between R6 000 for state aided schools and up to R70 000 or higher for private education. There are 23 public universities and technicians in South Africa as well as numerous private collages, which offer a wide variety of courses from certificate and diploma courses to doctoral degrees. A matriculation (high school certificate) endorsement is required for admission to a university. Further entrance requirements depend on the specific study programmes and universities. Student support offices at the institutions of higher education will be able to provide advice on the requirements. Courses at South African universities are taught in English and some in Afrikaans. A proficiency certificate for English is usually required from foreign applicants. Do you need more information on Education in South Africa?